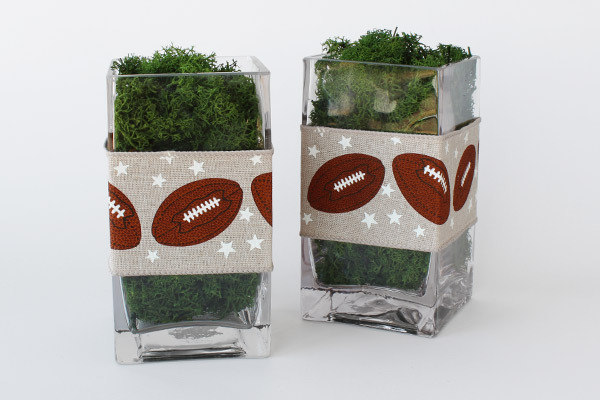 We’ll be honest here, this super bowl decor idea was almost too quick and easy to make. 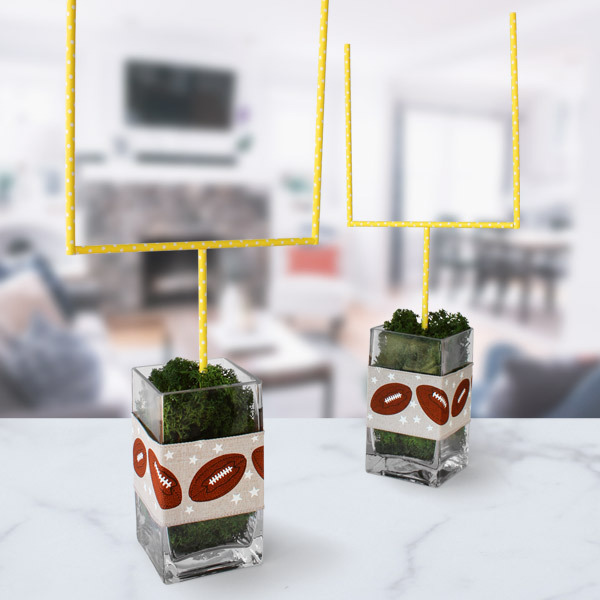 By simply using a few party basics and a little hot glue, we made a couple of game day goal posts that will accent our upcoming parties perfectly! Check it out. To complete your football party spread, this centerpiece would look great on top of a colorful table cover with some classic snackables. Using 2 straws, form a basic “T” shape and hot glue to secure. 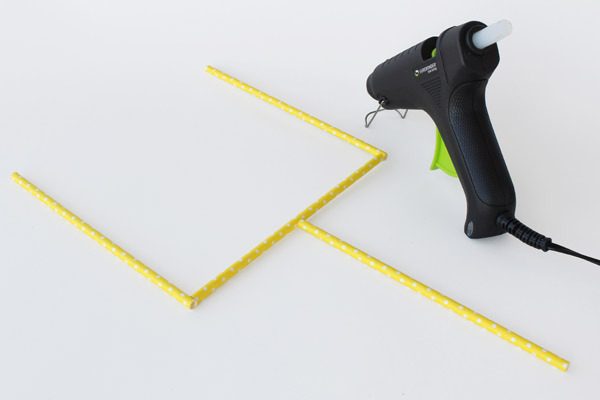 Finish the goalpost shape by gluing a straw on each edge of your “T”. Repeat Steps 1-2 to form your matching goalpost. Cut approximately 14” of your football ribbon. Wrap ribbon around the center of your vase, hot glue to secure. Repeat with the second vase. Fill your vases with preserved moss until full. 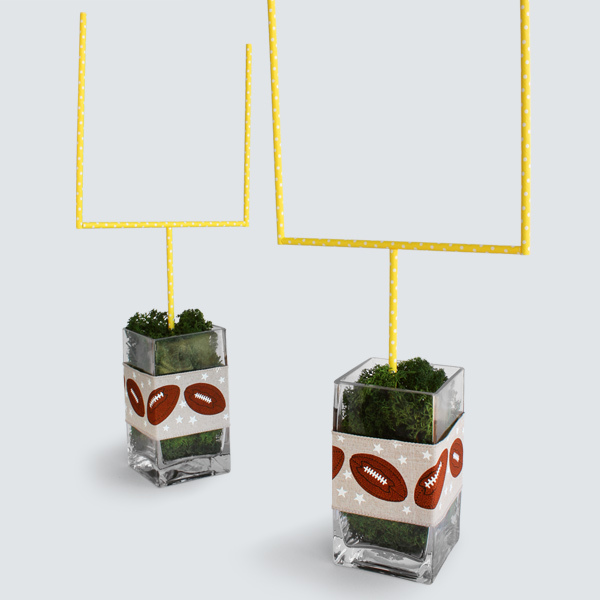 Insert goalposts into the center of each vase. FYI: What’s a Super bowl Party without the colors of your favorite team? 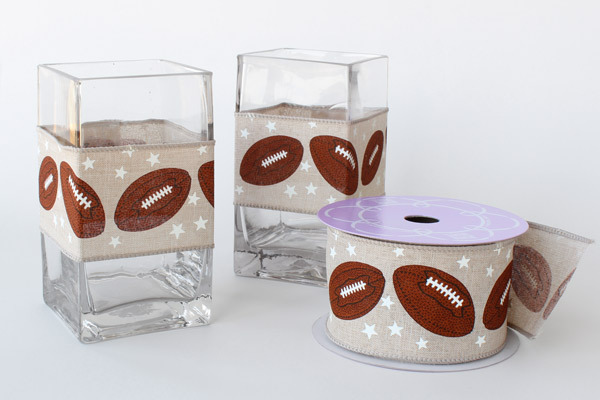 Upgrade your game day decor with colorful tableware, from cups and utensils to tissue paper decor and balloons. We’ve got you covered. Shop our party supplies here! Who are you rooting for this season? We’re celebrating whoever our in-house sports aficionado, Karla is cheering for. She has great taste. Did you love this super-simple DIY? Stay tuned! We’ll be making more all year long, so keep watching for more crafts, tips for small businesses, and product features!